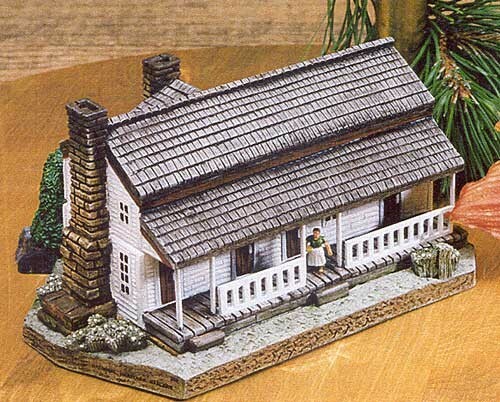 The Becky Cable House was probably the first frame structure in Cades Cove. Constructed by Leason Gregg in 1879. In 1887 it was sold to Aunt Becky, the unmarried daughter of John P. Cable and her brother Dan. A unique feature of the main chimney of the house was a seat built into its base. The seat became a popular place for young people to sit and "spark." A lone chimney and a stand of bee gums - all that remain of a pioneer homestead. These landmarks can be seen on many country roads as well as in the Cove. 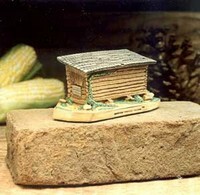 Most families in the Cove had a bee gum stand or bee hives. 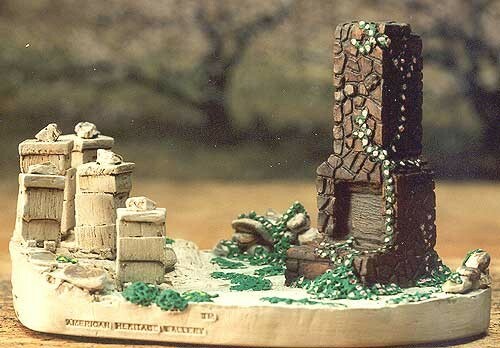 A stand was a collection of hollowed out black gum logs cut in 2 foot lengths and stacked two or three high. 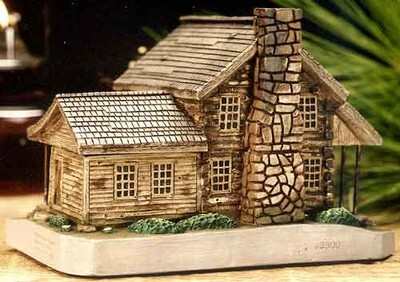 The early settlers of Cades Cove were happy when in 1878, James McCaulley, blacksmith, settled in the Cove. Iron was an all-important commodity, and it was scarce. It was used and reused until it just plain wore out. 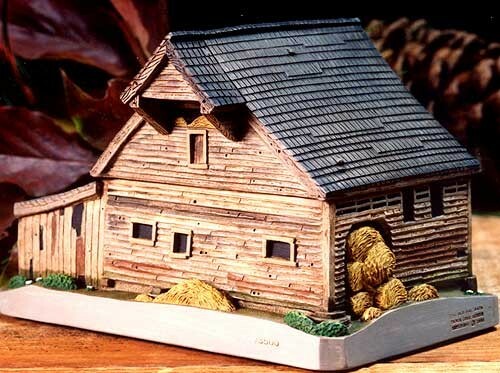 The Buggyshed/Corncrib was a unique structure built in the 1870's by Col. J.W.H. Tipton. The architectural style of his buggy shed and corncrib is similar to breezeways and carports of today. It too served a dual purpose; storage for the corn and protection for the buggy or wagon in inclement weather. The first mill in the Cove using water power was built in the 1840s by Frederick Shields. The Cable Mill was built by John P. Cable in 1868. 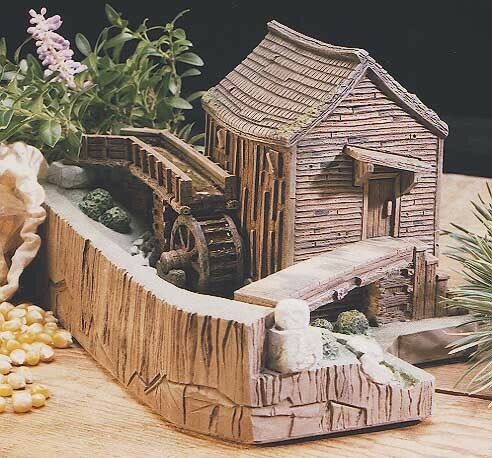 It was larger than Shield's mill and was used to grind corn, wheat and other grains. It was also used as a sawmill. John Cable used a log and lumber dam to hold the water from Forge and Mill creeks in a pond. 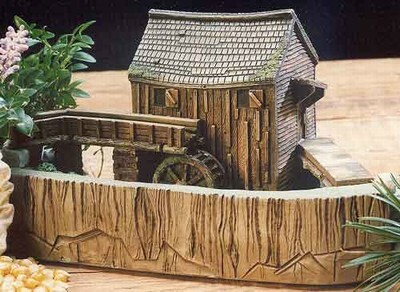 The water leaves the pond through a water gate, runs through an earthen race into a wooden flume. The flume dumps it onto the water wheel to supply power to the mill. Pioneers who settled south of the French Broad River in East Tennessee (present day Sevier and Blount counties) built barns with large overhangs on either end; they were known as cantilever barns. A cantilever is a beam or timber that projects outward from a base. In the 1800's, the settlers of Cades Cove were familiar with the many benefits of the Cantilevers and fashioned their barns after them. This architecture allows the use of large timbers, gave plenty of space for storage and kept the base of the building dry, providing shelter for animals and equipment. Built in the 1880's, this cabin was home to many Cove families; the Sparks, the Olivers, the Anthonys and then Carter Shields in 1910. A 66 year old Union Army veteran, Shields farmed his land. In 1919 Shields sold the property to Bud Gregory who sold it to Wade Tipton in 1922. The property was then sold to the State of Tennessee and ultimately became part of the Smoky Mountains National Park. 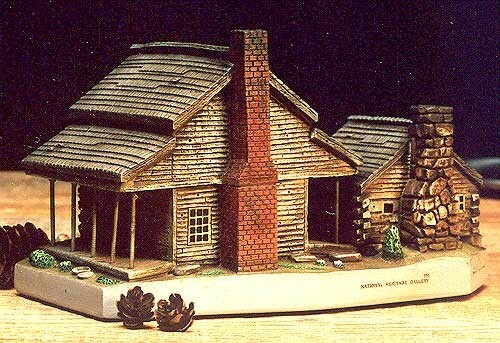 This sculpture portrays an original winter home of the Cherokee people prior to European influence. The winter houses were patterned after the council house. 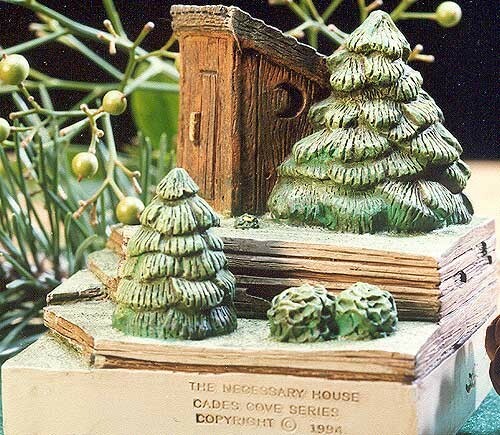 The walls were made of wattle a fabrication of interwoven saplings covered with daub, a plaster-like substance made with mud.The roof was made using tree bark, a fire smoldered in a center hearth. There were no windows and only a small door. In 1850, Dan Lawson married Mary Jane Cable, Peter Cable's only daughter. After Peter's death in 1865, Dan took over the Cable farm and expanded it into one of the largest holdings in the Cove. 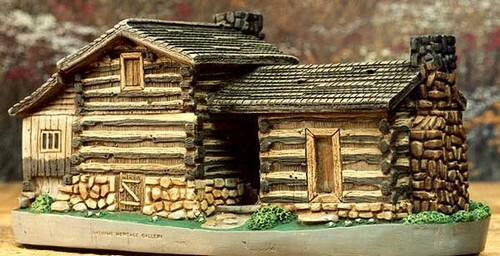 Some people called this the Peter Cable Place and it is likely that the original Peter Cable cabin is part of the Dan Lawson Place, probably the first portion constructed. The brick chimney, an unusual sight in the Cove, was constructed of bricks made on the property. The finishing work on the inside of the house is some of the best in the Cove. The faces of the logs were hewn smooth with an adze and the ceiling joists were dressed and beaded with a plane - unusual detailing for the 1800's. Perhaps the corn crib represents the greatest Indian legacy to the pioneers. "Indian Maize," or corn, was the most essential of all their crops. The cribs were usually long and narrow, filled to capacity with corn on the cob and in the shuck. The small front door was used to take the corn out of the crib as needed. 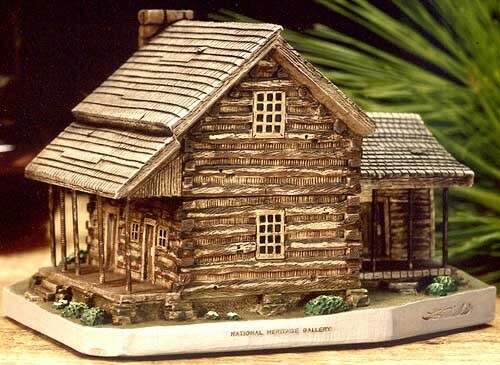 The original Elijah Oliver cabin was enlarged when Elijah purchased a cabin from the Herron family and attached it to their home. This provided a separate room for a kitchen and created a "split-level" home, maybe a first in the 1880's. The space between the levels was called a dog trot. Steps led down from the main part of the house into the kitchen. 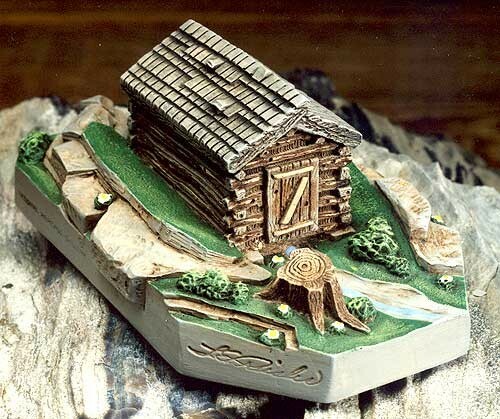 The springhouse cooled food using evaporation combined with a constant supply of cold mountain water. 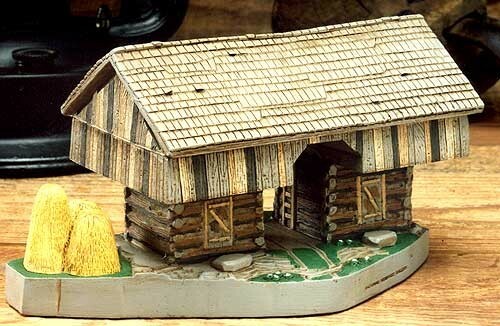 The springhouse "refrigerator" was constructed of logs and usually had a puncheon floor. 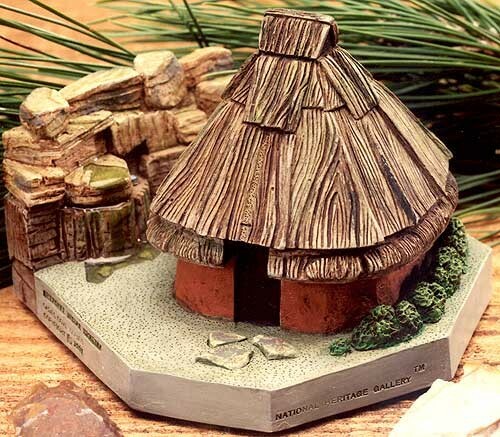 The seepage from the spring flowed under the floor and kept the springhouse reasonably cool and dry. 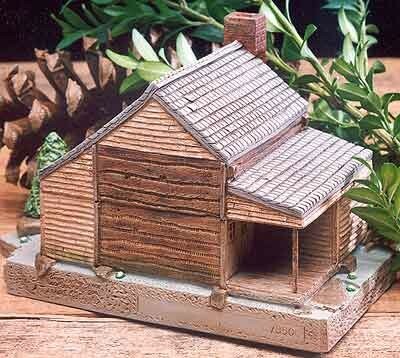 Inside the springhouse were wooden troughs of various sizes to hold the precious staples of the pioneer families. The Hamp Tipton house was built a few years after the Civil War by Col J.W. "Hamp" Tipton. In 1878, James McCaulley, a blacksmith, occupied the house. His blacksmith shop and the buggy shed/corn crib and cantilever barn were all built in the immediate vicinity. 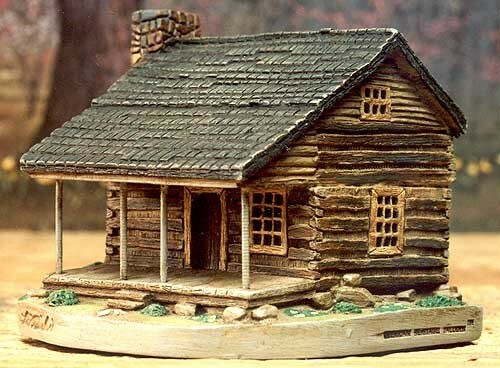 Although the Tipton cabin is now covered with clapboard, the main body of the structure was log and our miniature is reproduced in the original material. 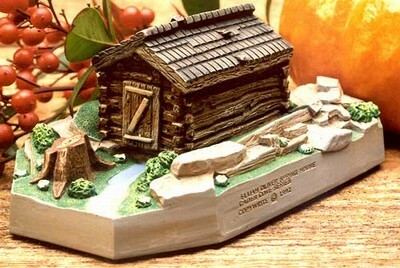 Two separate cabins make up the Henry Whitehead place. 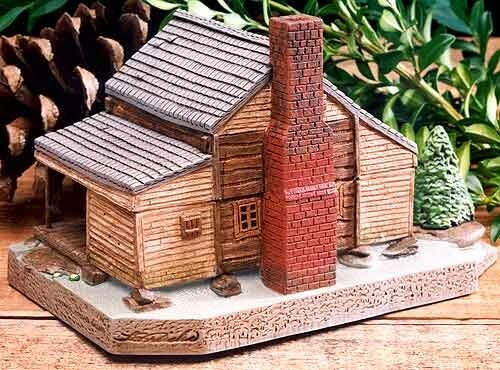 The smaller of the cabins was built around 1887 and hurriedly constructed of rough-hewn logs with jagged ends and a rubble stone chimney. 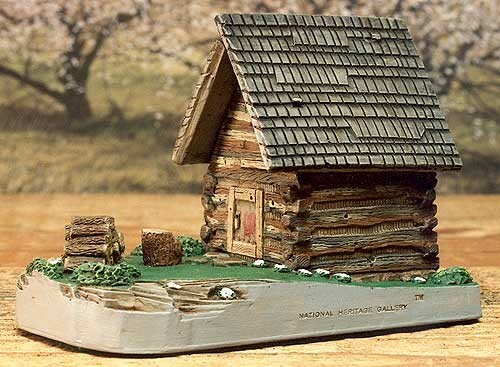 By contrast, the larger cabin, built in 1898 was constructed of logs sawed square at a nearby sawmill, fit tightly together so little chinking was necessary. On the inside, most of the logs were hand planed. The outside wall toward the prevailing wind was weatherboarded to keep out the wind and preserve the chinking. 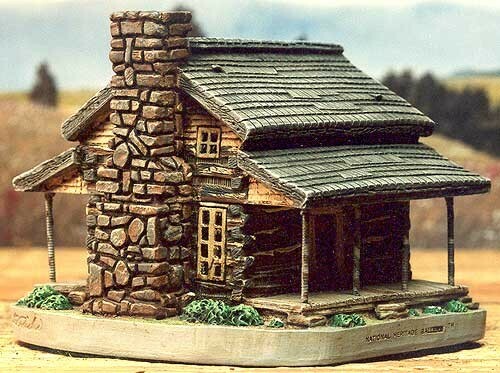 There was a rare brick chimney, made of bricks molded and fired right on the Whitehead land. The Cove's first white settlers, the John Oliver family, arrived at Cades Cove in the fall of 1818. All the other inhabitants were Cherokee and it was still illegal for white settlement there. John built their cabin in the upper end of the Cove and raised four children. Six people in such a small cabin must have been close quarters. The Missionary Baptist Church was an offshoot of the first congregation in the Cove, the Primitive Baptist Church. These people were dismissed from the Primitive Baptist Congregation because they favored support of missions, which was a national issue for the baptists in 1839. The Missionary Baptist Church was built around 1894 and has a small cemetery near the church. Established as a separate entity in 1829, the Primitive Baptist Church is the oldest established church in Cades Cove. The present building replaced the original log structure in 1887. Each of the churches in the Cove had their own burial ground. Since many of the pioneer settlers are burried there, the Primitive Baptist Cemetery is perhaps the oldest of the church cemeteries in the Cove. 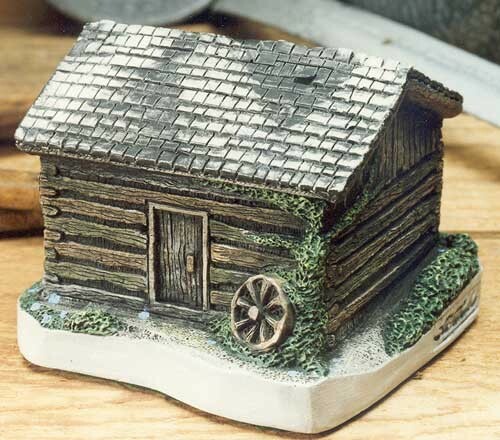 Usually located near their cabin, the smokehouse was tightly chinked to keep out insects and other varmints. 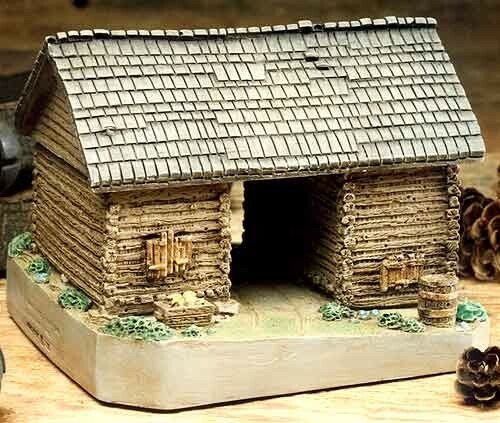 Typically, it had a shelf for storing meat, as well as poles across the rafters for hanging the hams, bacons, pork shoulders, sausages wrapped in corn husks, wild game and fowl. The pioneers' "commode" was contained in its own structure. 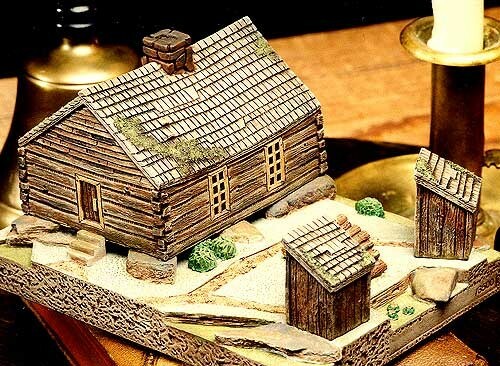 As soon as their cabins were completed, the settlers built a "Necessary House." It was usually located away from the house and not near the stream. Rain or shine, day or night, when nature called it meant a trip to the little house out back. Making hay in the 1880s was a job that spanned the summer for most farmers. If it was a "Good Weather" summer, a field could easily yield two or three crops of hay. The hay was cut, raked and loaded on the hay wagon. Mules or horses pulled the wagon to the barn. There the hay was unloaded and forked high into the hayloft where it was raked into a level pile. Farmers would push the hay down from the loft into mangers as needed throughout the winter. Early settlers home-schooled their children. 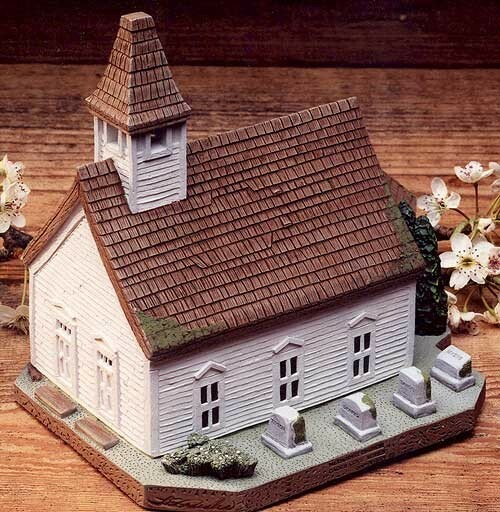 Later, churches doubled as schools and once in a while someone would hold an "Old Field" school in a simple log structure with a dirt floor and a fire pit in the center. In 1878 the Cades Cove district schools were mentioned in the Maryville Index. By 1900, four one-room schools had been built and were operating in the Cove. 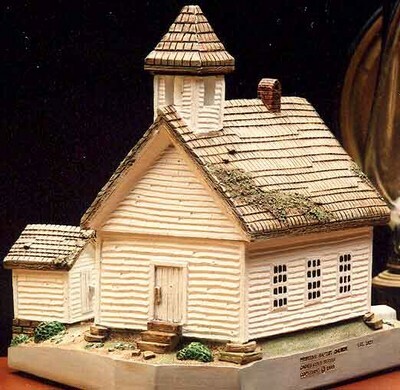 The National Park Service did not preserve any of the schools in the Cove so Leo Preisler patterned his sculpture from descriptions of former Cades Cove residents. 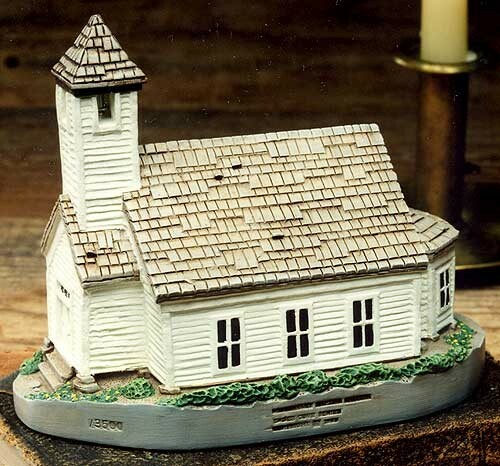 The first Methodist Church in Cades Cove was a crude log structure built around 1840. The Methodist Church that stands in the Cove today was constructed in 1902 and has two doors. The ladies entered through the door on the left; the men on the right; and they were seated accordingly, once inside.